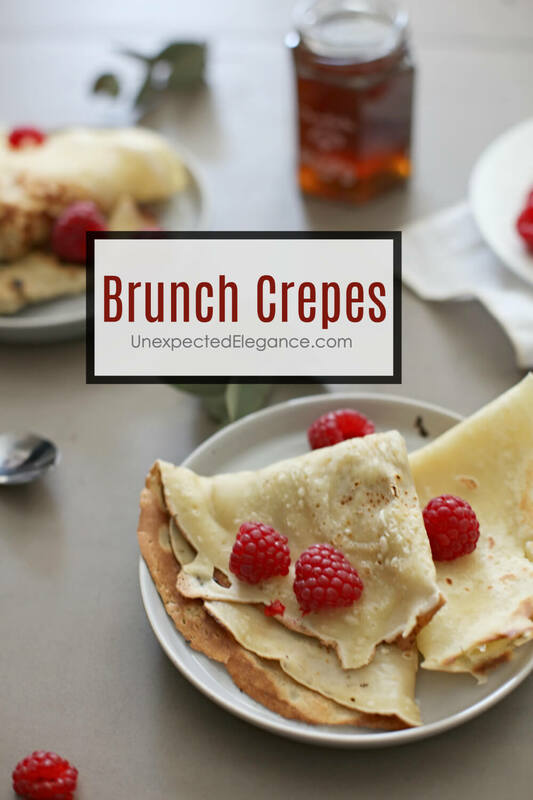 Try this delicious and versatile crepe recipe. It’s perfect for a Sunday brunch or even as a dessert. My love for all pastries still holds true and one thing I loved in France was the crepes. If you aren’t familiar with them, they are a very thin pancake. 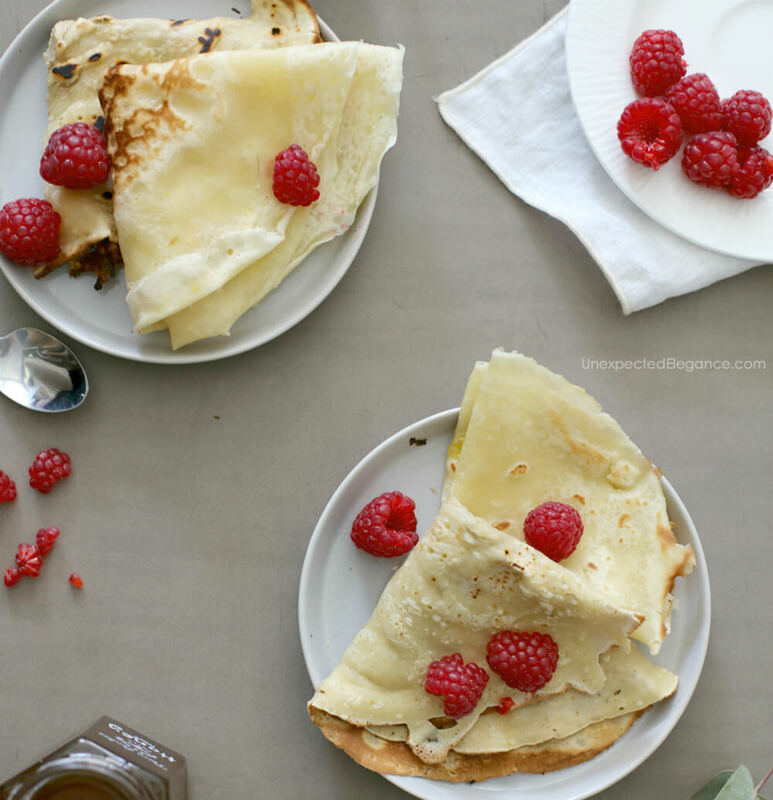 There are two types: sweet crepes and savory galettes. Both can have a variety of fillings. This recipe I’m sharing is delicious and would be perfect for a Sunday brunch. They have a hint of sweetness and vanilla but and are very delicate. 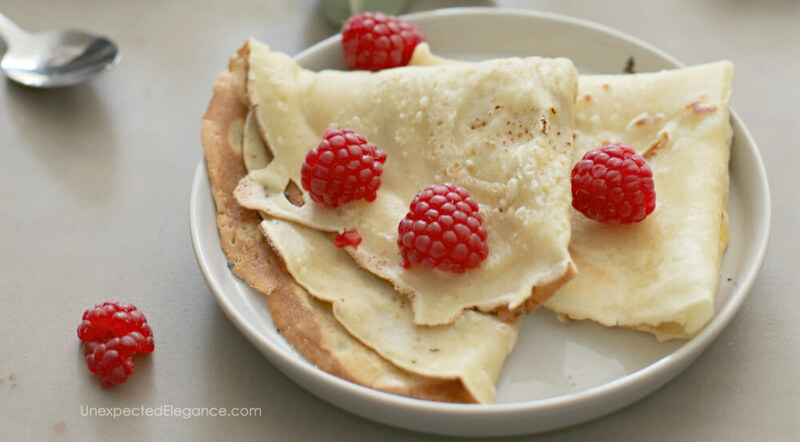 These crepes are amazing with a sprinkle of powdered sugar on top or with some raspberry jam and whipped cream. I have also served them warm with caramel sauce and a scoop of vanilla ice cream as a dessert. YUMMMM! In a blender, mix the milk and egg until frothy. Add the flour, sugar, salt, and vanilla and blend until everything is well incorporated (around 1 minute). Let the batter rest in the refrigerator for around 30 minutes (you can also do it overnight but 30 minutes is enough). Preheat a big pan over medium heat and grease with some butter. Pour around 1/4 cup of the batter and swirl to completely cover the pan. Cook for 2 minutes and with the help of a spatula and your hands flip the crepe. Cook for an additional 30 seconds. For more great recipe ideas check out my Recipe Page here.